Without a doubt, this is my most colorful post yet! 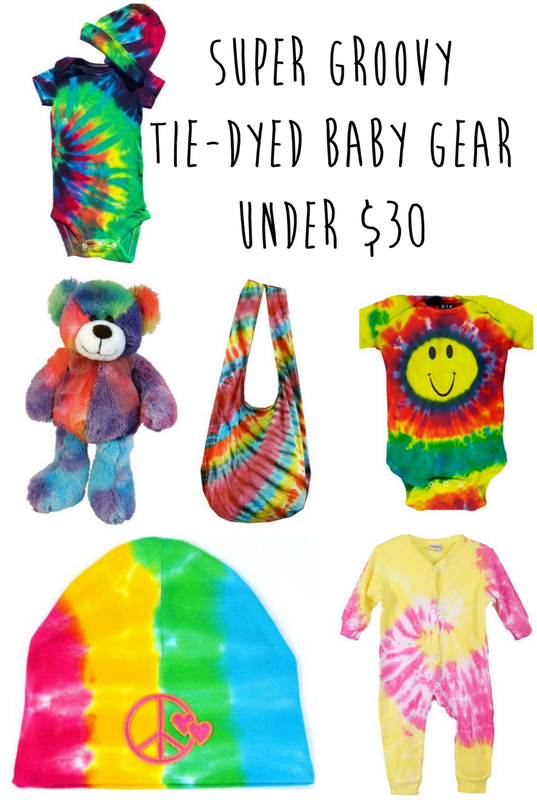 I love tie-dye, but for myself I like more subtle colors but for my babies, the brighter the better! 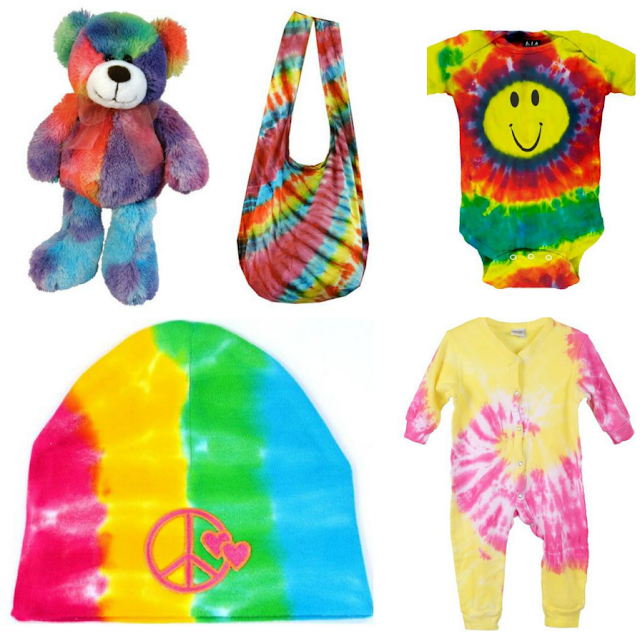 If you know someone who has a little hippie bun the oven or if you're are looking for a few groovy items for your own baby, check out this collection of cheerful duds - handpicked by me, just for you. Just click any image or link for purchase info, post contains affiliate links. This chair isn't under $30 but, wow! Look at it!! !